Was Liam Fox a Mossad Agent, a ‘Useful Idiot’ or Just another CFI member? 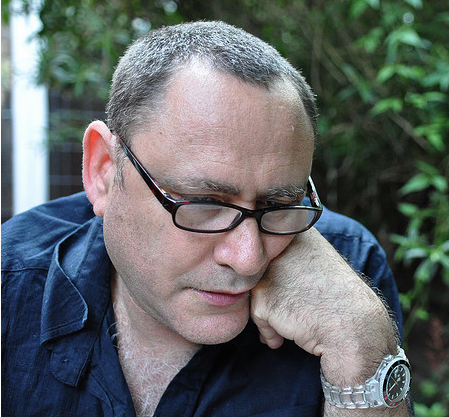 Introduction by Gilad Atzmon: Once again, it is a Jewish media outlet that provides us with the ‘news’ the British press insists to hide. When it comes to Israel and its lobby, the British press is extremely ‘careful’ (on the verge of dishonest). But the truth seems to come out anyway. I guess that Liam Fox was ‘kicked’ out because he was advocating an action against Iran. Someone out there was clever enough to grasp that Britain better stay out of the next Israeli blunder. London — The scandal that led to the recent resignation of Britain’s high-powered defense minister has laid bare a seamy underside to the funding and influencing of politicians in the United Kingdom, and the donors of some of the country’s key pro-Israel groups appear to be near the center of the affair. Liam Fox, who resigned his defense post October 14, has been forced to explain the nature of his relationship with Adam Werritty, a longtime personal friend, after it was revealed that Werritty had been traveling abroad while representing himself as an official emissary of the defense minister with Fox’s knowledge. Werritty’s travels included forays to Iran, where he reportedly met with opposition activists, and to Israel, where he is said to have met with Israeli intelligence agents, including the director of the Mossad. With no official position, Werritty could not pay for his travels via the government. In fact, his travel was funded by a nongovernmental organization he established in which three of the six principal donors are linked to pro-Israel organizations. Despite the revelations to date, Dermot Kehoe, director of public affairs and media for the Britain Israel Communications & Research Centre, or BICOM, a major pro-Israel public relations and lobbying group, said Jewish interest groups are unlikely to suffer lasting damage. In the United States, the pro-Israel lobby is large and vocal, and wields considerable influence in the national body politic. It also operates fairly openly and has been subject to frequent scrutiny. But across the Atlantic, Jewish interest groups have traditionally operated far more quietly and have been subjected to much less examination. The bright light now being shone on the Fox resignation may change that state of affairs. Fox officially quit his post because he allowed Werritty, his close friend, to pursue his own business interests at the heart of government without an official role. Werritty, who was also best man at Fox’s wedding, went into hiding amid lurid headlines about the exact nature of the relationship between the two men. It was a clear breach of the ministerial code of conduct, and Fox, a Conservative Party right-winger who was once regarded as a leadership rival to Prime Minister David Cameron, had to go. Now the focus has shifted to Pargav, the not-for-profit organization that Werritty set up to fund his travels on Fox’s behalf. Among its major donors is Mick Davis, chair of the board of trustees of the Jewish Leadership Council and chairman of the United Jewish Israel Appeal. Davis, 52, is also chief executive of the mining company Xstrata, listed in the top 100 companies on the London Stock Exchange, with a market value of about $65 billion. The millionaire businessman has declined to go into detail about why he decided to donate money to Pargav. But he has also paid about $240,000 to the Conservative Party and $12,000 to Education Minister Michael Gove, another staunchly pro-Israel Cabinet minister. The second donor, Chaim ‘Poju’ Zabludowicz, is a flamboyant ex-arms dealer who contributed slightly less than $5,000 through his investment firm, Tamares. The London-based billionaire, who counts Madonna as a close friend, is also a key figure in BICOM, which is regarded roughly as the trans-Atlantic equivalent of Washington’s American Israel Public Affairs Committee. The third notable donor is financier Michael Lewis, a former BICOM deputy chairman who gave $47,000 to Pargav. All three men — who are understood to be close friends — have since distanced themselves from Werritty. But the fact remains that their money helped fund, at least in part, some of his 18 trips abroad on Fox’s coattails since 2009. In total, Werritty was present at about 40 of Fox’s 70 recorded engagements, domestic or otherwise, while Fox was in office. Another aspect of the affair focuses on Howard Leigh, who is the Conservative Party’s treasurer and is also vice president of the Jewish Leadership Council, a body with representatives from community and religious groups, including Davis. In his role as Conservative Party treasurer, Leigh reportedly encouraged wealthy donors to fund Fox’s interests and office; in turn, Fox introduced them to Werritty. Ramsdale said that statutes governing political contributions could be another area for reform. At the moment, political parties must declare donations of $12,000 or more and elected members must disclose anything they receive of $1,600 or more. But there is no limit to the amount an individual or organization can donate or lend to a registered political party. The focus in this case also includes Werritty’s use of the money. Virtually all the donors to Werritty’s cause have expressed surprise to learn that their cash helped fund Werritty’s apparent love of first-class air travel and upmarket hotels while on his forays. What is not clear is whether they were aware exactly how close Werritty was to Fox or how much influence, if any, Werritty wielded over policy. Last February, Werritty arranged a dinner attended by Fox, Matthew Gould, who is Britain’s ambassador to Israel, and senior Israeli political figures at a security conference in Herzliya, Israel. Sanctions against Iran were reportedly discussed at the dinner. Crucially, it is understood that Israeli intelligence agents, including then-Mossad chief Meir Dagan, also attended the meeting. Before establishing Pargav, Werritty was CEO of the charity the Atlantic Bridge, which was founded by Fox to promote close relations between America and the U.K. The Atlantic Bridge was found last year to be operating with political purposes in violation of U.K. rules. The Charity Commission, the country’s regulatory body for charities, ordered it to cease its activities “immediately.” The Atlantic Bridge’s trustees closed the charity in July. Senior City of London police officers are now deciding whether Werritty’s attempts to pass himself off as an “adviser” to Fox by handing out Westminster-style business cards could constitute fraud.